9) Levar ao forno cerca de 10 minutos; deixar arrefecer sobre uma rede metálica. 9) Bake for about 10 minutes; let cool over a wire rack. Inês: estas belas bolachinhas não iam durar muito cá em casa. Ficaram mesmo apetitosas e devem ser uma delícia. Vou levar a receita para experimentar. Adorei. Dear Inês, hazelnut cookies are always the best kind of cookies, always! Nice to read in your comment on my blog that you seem to be doing well and feeling good in lovely München. A Master thesis is a lot of work and you will certainly need a lot of "brain feeding food" in the upcoming weeks - wishing you all the very best for your thesis! There is so much rain and thunderstorms and even hail around here today...but summer will be back soon! Que lindas que elas estão! Só ingredientes deliciosos e cookies sabem bem o ano inteiro! Olá, lindos cookies, imagino o sabor que ficou com esta mistura deliciosa de ingredientes, aliás tudo por aqui tem um visual delicioso! 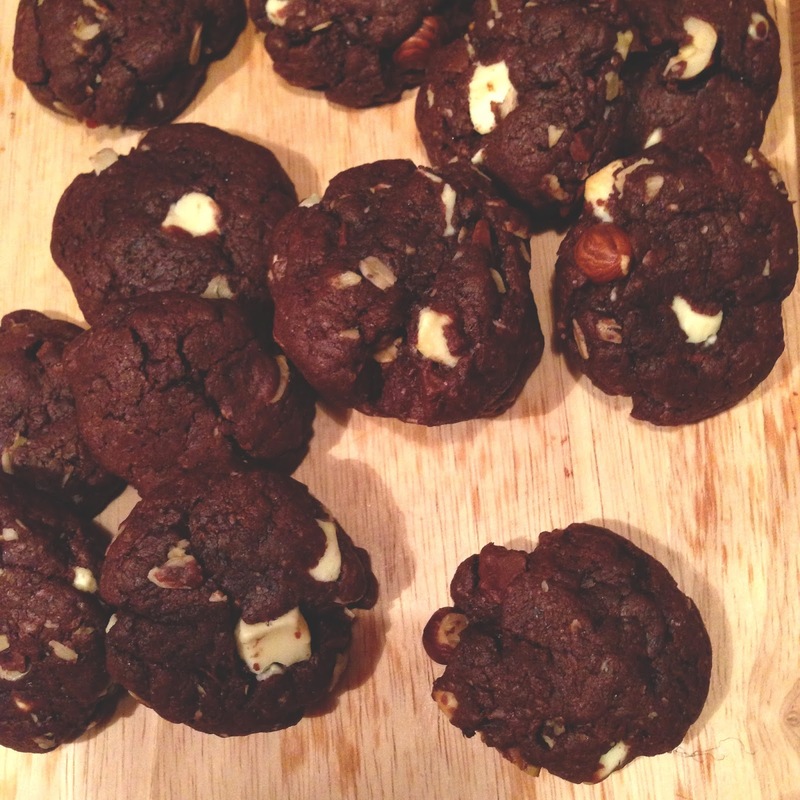 These spelt chocolate cookies look divine!